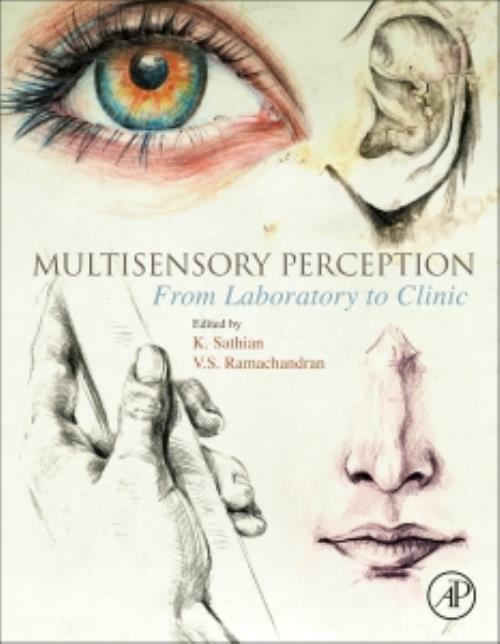 Multisensory Perception: From Laboratory to Clinic surveys the current state of knowledge on multisensory processes, synthesizing information from diverse streams of research and defining hypotheses and questions to direct future work. Reflecting the nature of the field, the book is interdisciplinary, comprising the findings and views of writers with diverse backgrounds and varied methods, including psychophysical, neuroanatomical, neurophysiological and neuroimaging approaches. Sections cover basic principles, specific interactions between the senses, the topic of crossmodal correspondences between particular sensory attributes, the related topic of synesthesia, and the clinic. Dr. Sathian is a cognitive neurologist and neuroscientist with research interests in multisensory perception, interfaces between perception and language, and neurorehabilitation of cognitive and visual dysfunction. He underwent medical training at Christian Medical College, Vellore, India and subsequently obtained a PhD in neuroscience from the University of Melbourne, Australia. He then moved to the United States for postdoctoral training at Washington University in St. Louis, Missouri. After completing a residency in neurology at the University of Chicago, he joined the neurology faculty at Emory University in Atlanta, Georgia. He served as Director of the Atlanta VA Rehabilitation Research Center for 8 years. In July 2017 he moved to Penn State as the Chair of Neurology and Professor of Neurology, Neural & Behavioral Sciences and Psychology. He is also the Director of the Neuroscience Institute at Penn State. Dr. Sathian's research has been funded by the NIH, NSF, VA and private foundations. Apart from authoring numerous publications and book chapters, he is co-editor of a volume on cognitive plasticity (2015). He received the 2001 Albert Levy Award for the best scientific publication by a faculty member at Emory. He served as President of the American Society for Neurorehabilitation, and his study section service includes multiple NIH, VA and DoD panels. Dr. Ramachandran is based at the Center for Brain and Cognition, University of California San Diego in La Jolla, California.